Soya Garden, a Vietnamese organic soybean beverage startup has today raised VND 20 billion (about US$880k) from Egroup, an education-focused corporation in Hanoi. The investment came after the beverage company had impressed Egroup’s chairman Nguyen Ngoc Thuy on the first season of Shark Tank Vietnam. Soya Garden’s co-founder CEO Hoang Anh Tuan confirmed the investment, adding that the deal has also secured the startup many opportunities, one notably is becoming a strategic partner to Singapore’s prominent soybean establishment – Mr. Bean Group Limited. Mr. Bean Group is the leading brand of soy products with an established history of more than 20 years. The brand currently owns more than 65 retail stores in Singapore, Japan, and the Philippines. According to Nguyen, he was convinced with the market opportunity for soybean beverages in Vietnam as well as Soya Garden’s business plans. Vietnam is witnessing an increasing demand for soybeans and related products. According to a Global Agricultural Information Network (GAIN) report from the US Department of Agriculture, soybean imports are forecast to rise by 5% in Vietnam. Nguyen also added that if the first round of investment was proven successful, the group may consider additional fundings in the startup. Founded in 2016, Soya Garden currently has 13 stores, which includes 10 stores in Hanoi and three in other cities. The soybean beverage startup plans to develop a larger variety of products from soybean, offering it as an alternative to coffee and tea. With the investment from Egroup, the company plans to hire more personnel and build the firm’s IT infrastructure to support its plans to open 30 new stores in Hanoi and Ho Chi Minh City. On the other hand, Egroup is founded in 2008. 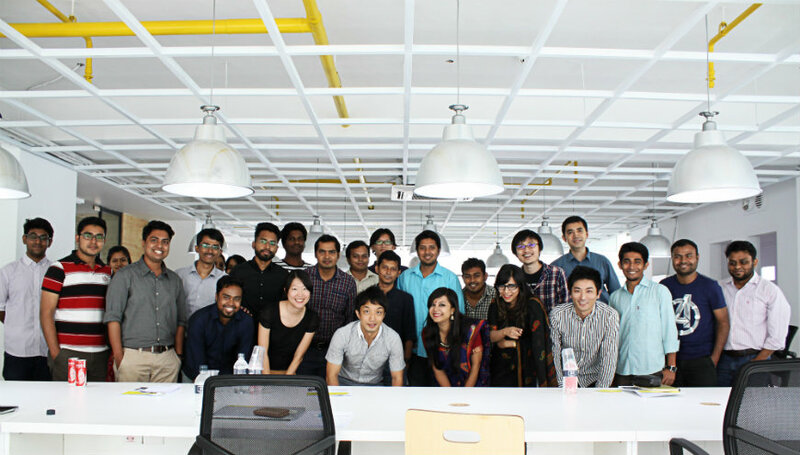 It owns Apax Holdings which operates about 50 English language training centers across the country. 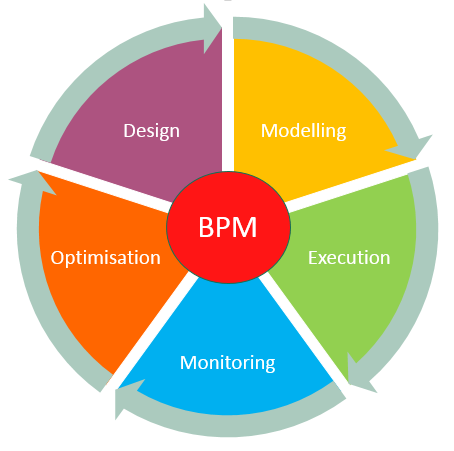 Business Process Management (BPM) software and its services, originating from the IBM, enable businesses to go for an efficient optimization of their performances by a process of ascertaining, documenting and not only automating, but also following a path of continuous improvement, to enhance the efficiency factor and at the same time, work on cost reduction. When you install it, the IT infrastructure of the organization, uses its features for enhancing the company profits and manages the processes without difficulty. 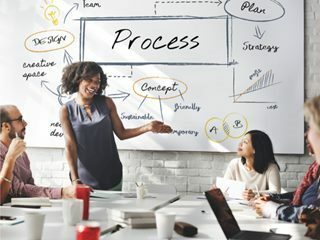 Business Process Management Software solutions play an important part in enhancing the positive aspect of the production, not only of the organization, but of the IT staff as well, whose responsibility it is to enhance their capabilities, adjust to the several changes, and in general, work towards reducing the IT operating expenditure. Several people refer to BPM as a holistic management, which endeavors to align the business processes of an active organization with client requirements, thereby advancing the business efficacy, while focusing on creativity, flexibility and integrating it with technology. Some also call it a process optimization process because it is a continuous improvement mode and runs on a more efficient platform than a focused, conventional approach of management. Business Process Management (BPM) software can benefit an organization in several ways. – In terms of compliance, with regulations like Combined Code for Corporate Governance, Sarbanes-Oxley and HIPAA, besides others, the BPM software appears as a boon to the organization. – Put on fast track, your responses to business conditions. – Speed up your return on investment and ensure cost reduction. BPM is a combination of these tools (and some more) helping the business to document, understand, measure and improve their business processes. BPM help to create well documented and streamlined processes, which are essential to ensure consistency, traceability and focus towards shared strategy and performance goals. (e) Control – Process Control plans and Statistical Process Control (SPC). Business process management is a field of management, a branch of management studies. Its focus is on the improvement of the performance of a business process management by improving the processes involved in the operation of that business. It optimizes the business processes to increase efficiency within the organisation. This kind of approach enables a business to be more adaptable to change than the traditional top down hierarchical approach. Implemented consistently, it can improve the functioning of an organisation, as well as its revenues and profitability. This kind of management is defined by some as ‘a systematic approach to making an organisation’s workflow more effective, more efficient and more capable of adapting to an ever changing environment’. A business process itself can be defines as a set of activities that are required to accomplish a certain goal within the organisation.BPM is a division of infrastructure management, which ensures the optimum utilization of an enterprise’s resources and core operations. If there is an effective business process management in place, it will give the enterprise an edge over the competition. A management must be effective and deliver operational efficiency, business visibility, excellent customer experiences and an ability to be responsive to change. It is an important tool in the hands of business managers. Today there are many business process management programs from leading software giants like oracle and sap that offer BPM programs to run a business efficiently. The Business Process Management Software exposes the processes to automation, which facilitates handling of a wide range of business needs and functions, which would include procurement, HR, order management and accounts payable and much more. – Helps IT staff to enhance their competence to fine tune to changes quickly and bring about an effective reduction in IT costs. A unified management system can reduce the cost of doing business and improve revenues, efficiency and profits. The system can also vary from the very simple to the very complex, depending on the size, and scale and the requirement of individual businesses and depending on the number of processes and the extent of monitoring required. There is scope for a great deal of customization. It is also to be understood that business process management is not a one time exercise. It is an ongoing program that needs to understand changes in the business environment and respond to it rapidly. It is essentially a process of continuous evaluation and improving of an enterprise. It is one of the important things to remember. BPM allows organizational leaders to understand the various processes that happen within their organizations, analyze them from end to end and improve them on an ongoing basis. This activity allows organizational leaders to optimize end-to-end business processes and not simply improve individual tasks, thereby, giving organizational leaders the ability to have a greater impact on outcomes. This quick guide provides a summary of what is a business process, the 6 stages to implementing improvements and a discussion of how software can play a part in the optimization. This is intended for business owners, IT managers and those who are interested in how software development can play a part in improving their business. Understanding what your business processes are today is a critical step in the process, quite often what you think are the steps/tasks for a specific process our clients are often surprised when spending time to document that the actual process differs. As any process typically involves different people, different systems and a variable time-period these introduce uncertainty and variations in the process. This stage requires you to take some time to document what the current process is, but don’t be too ambitious with the scope (until you are more comfortable with the process) – keep the business process you are documenting small to start with. Whether you focus on the use of a mobile app or the interaction of your clients on your website and the subsequent process – keep it simple. Make your goals measurable, realistic and proportional to your ambition for change (we will discuss this more later but setting unrealistic goals will mean you will surely either fail to achieve the change or you will fail to secure support). If you want to reduce the time taken on producing quotes, improve the number of quotes accepted or reduce the cost spent on creating a quote now is the time to understand what the current metrics are (what are you trying to improve on). After we have defined our goals we can now re-evaluate the process to see where we might make a small change to have a big difference – this can be difficult as thinking differently isn’t easy for anyone (especially if they have followed this process perhaps for years). Start looking at the overall process – just because you do it this way – should it be done this way? Do you need to do this process at all? Are there any industry/online examples of other processes that you might be able to compare with? Hopefully the easier part now – using the same modelling method to write up our process we now write up/document the to-be business process in the same way. This serves to explain the proposed changes to a wider audience and seek their buy-in/acceptance – as any change is only successful if it’s well communicated and managed. You should be clear in any changes, who is impacted and what the possible business benefits are – remember to ‘sell’ the benefits to those employees impacted demonstrating how it will improve their work rather than remove their work. Depending on the process you have defined there will either be a lot of change or a few small changes, this stage we break up the changes into logical steps. My suggestion is to start with the low hanging fruit – typically those that impact the least people/systems and would receive the least opinion if they were changed. The very fact you start with these will demonstrate that change is possible, it can be productive, and it warms people to the idea that not all change is bad. Now you have secured any budget, communicated the change and gained a clear mandate from any management to ensure any change is driven through the business. Defining a clear plan to implement the change is the secret here – communicate the change early, communicate clearly and repeat messages over a sustained period. Those who are directly impacted by the change should have the most attention, and ideally a member of each impacted team should have a stakeholder involved in the project. As a software development company, we take pride in the fact we focus on business process improvements, delivering a great value solution and also supporting you and your business in ensuring the solution lands well within your organisation.